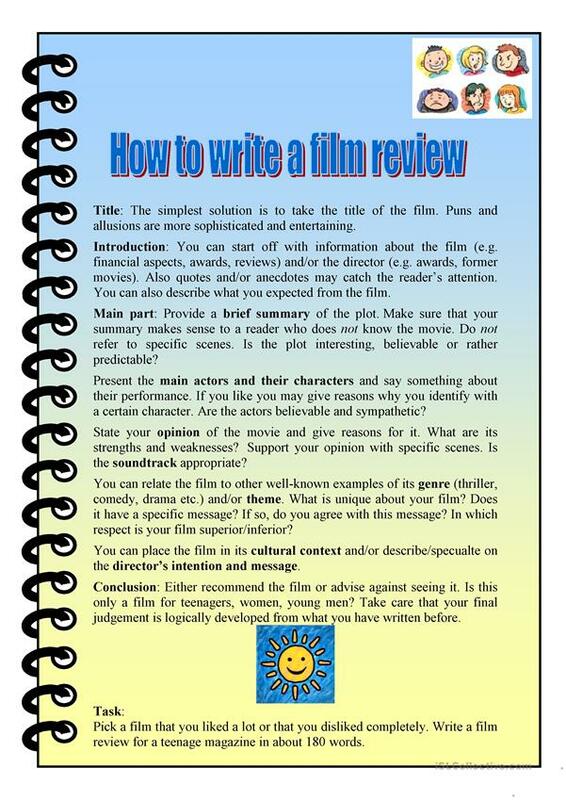 This handout gives tips on how to write film reviews. The above downloadable handout is a great resource for high school students at Intermediate (B1), Upper-intermediate (B2) and Advanced (C1) level. It was designed for improving your learners' Writing skills. mbp2012 is from/lives in Austria and has been a member of iSLCollective since 2012-04-14 14:12:30. mbp2012 last logged in on 2016-03-01 14:20:59, and has shared 16 resources on iSLCollective so far.